Topic: Flangers, phasers, choruses for noise? Topic: How to mute channels in mixer? When you say octave, are you meaning UP or DOWN? I've been having fun with the Stone Splitter prototypes, but they divide down. 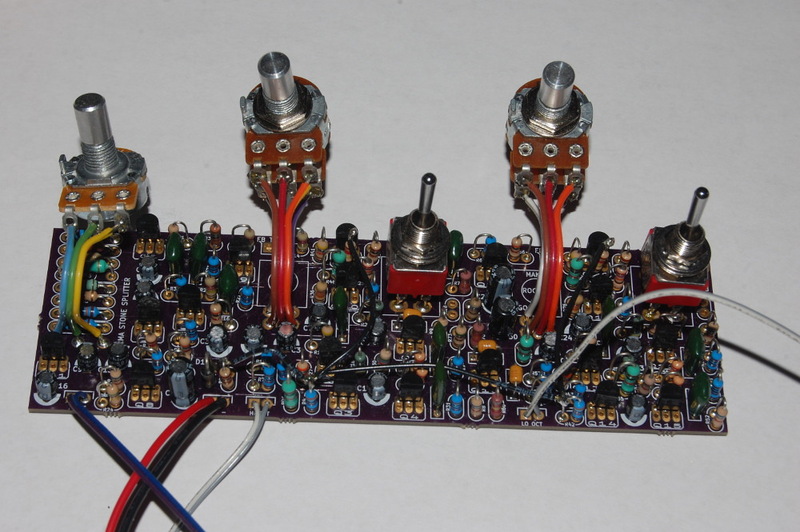 Just bought Vox Trike fuzz. Now it's my favourite pedal. Forget about Blue boxes and other "boxes". It fucks up sound so bad, you don't need any other pedals. In feedback loops it shines. Its strange that not so many people here know about it. If anybody is still interested. You're gonna need a contact mic, a Boss Ds-1, a kazoo and a tub of vaseline. Can I replace Boss DS-1 with Digitech Death Metal and Grunge?